Akshaya Tritiya is on May 9th and anything done on that day will be multiplied, amplified and magnified manifold… every thought, every word, every action. So, think your desires, speak your desires, be your desires and multiply them a thousand fold, for an extremely flourishing life on Akshaya Tritiya 2016. 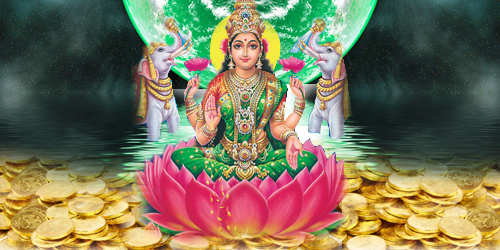 Tuesday, May 9th IST is Akshaya Tritiya, which means the 3rd phase of the waxing Moon in the Vedic month of Chitra (i.e. when the Sun is in Aries). This is the only 3rd phase of Moon during the entire year that is most auspicious for the finances, business success, abundant prosperity and eliminating losses. You can rapidly move forward in your life and eliminate deep-rooted negative thoughts about finances when you pray during this powerful day. The word “Akshaya” means the never diminishing in Sanskrit. Sun and Moon are astrologically believed to be at their most exalted positions on Akshaya Tritiya and hence offers the perfect conditions for your wealth and power. It is the best day to go for new investments like Fixed Deposits in Banks, Post Office Savings Schemes, Insurance Policies, Share Market investments, Mutual Funds etc and to start new ventures. On Akshaya Tritiya 2016, AstroVed is undergoing a massive undertaking here in India to bring you the opportunity to participate in the majestic Elephant “Gaja” Pooja and Grand Lakshmi Kubera homa . If you are able to actively engage in this moment and capture it in your own body mind and soul, it will be very useful to help you gather wealth and keep wealth. The amazing planetary combination on May 9th, Akshaya Tritiya 2016 day forms a wheel, which translates to “what was lost will come back to you”. Think of what was lost, 1) loans given and never returned, 2) poor investments, 3) wastage, 4) Money cheated from you, etc. Make sure you get the money back that you are due. How to Get the Money Back? Blessings from our ancestors are very significant for the protection and success in all activities. Provide your deceased family members with constant happiness and well-being in the afterlife. The decease possess more spiritual power than they did during life and in a sense your ancestors are deities who have the ability to interact and give you blessings for health, wealth and happy relationships.